« 6 Ways to Wear White Jeans and Still Look Like a Million Bucks! There has been a lot focus recently on the perils of wearing skinny jeans after a woman sporting a skin-tight pair collapsed following a day full of squatting, moving around and straining. Her skinny denims constricted her very active movements, and cut off blood circulation in her lower body. Though not common, wearing very tight jeans can be hazardous to your health. Sometimes keeping up with the latest trends comes with a warning label that’s unfortunately too easily ignored. But here’s the deal about skinny jeans – they’re not the only stylish pants out there. There are so many ways to look trendy and chic without resorting to channeling your inner Kendall Jenner and wearing jeans that are way tighter than your body can take. 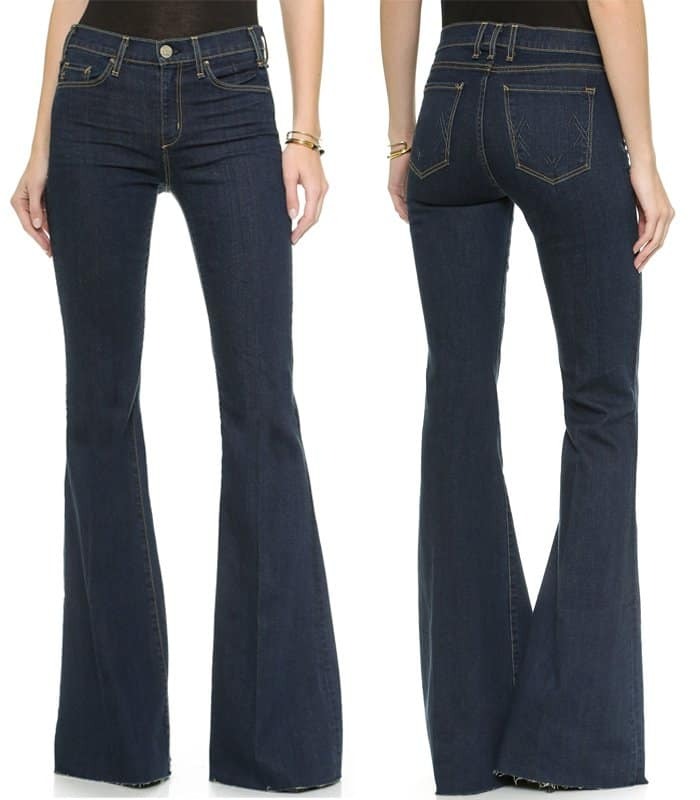 The flared jeans are back in fashion with a vengeance. They’re everywhere right now and many celebrities seem to prefer wearing them over skinnies. They have a more forgiving silhouette and fit so you can easily wear them if you are looking for both comfort and style. The actress wore a pair of 7 For All Mankind vintage trousers with a white shirt, a white blazer, a white leather bag and a pair of Brian Atwood “Gaynor” sandals. 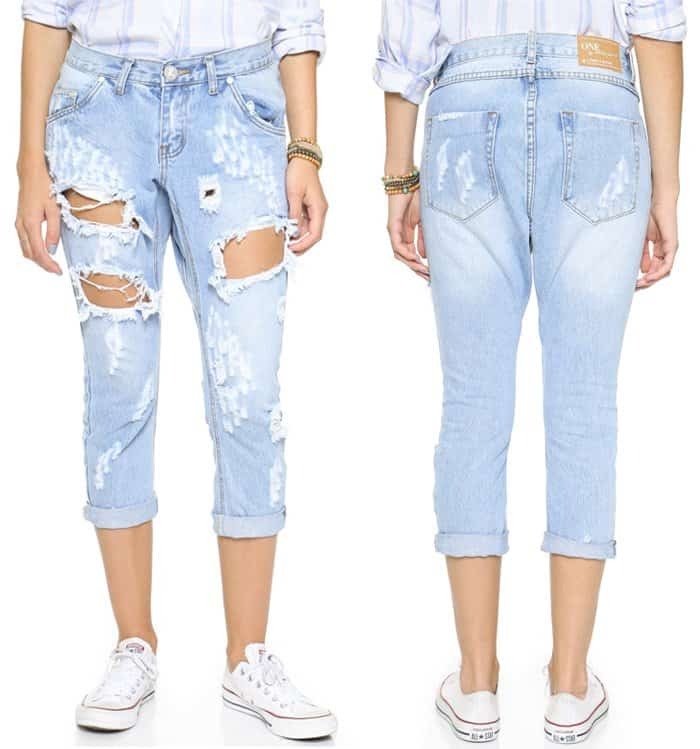 Boyfriend jeans are still wildly popular, and for good reasons: they’re trendy, comfy, and classic. The stunning actress wore hers with a button down shirt, vest, cargo jacket and a pair of oxford shoes. She accessorized with a pair of Etnia Barcelona “Yokohama Sunset” sunglasses in platinum and carried a Maiyet Peyton braided small tote. 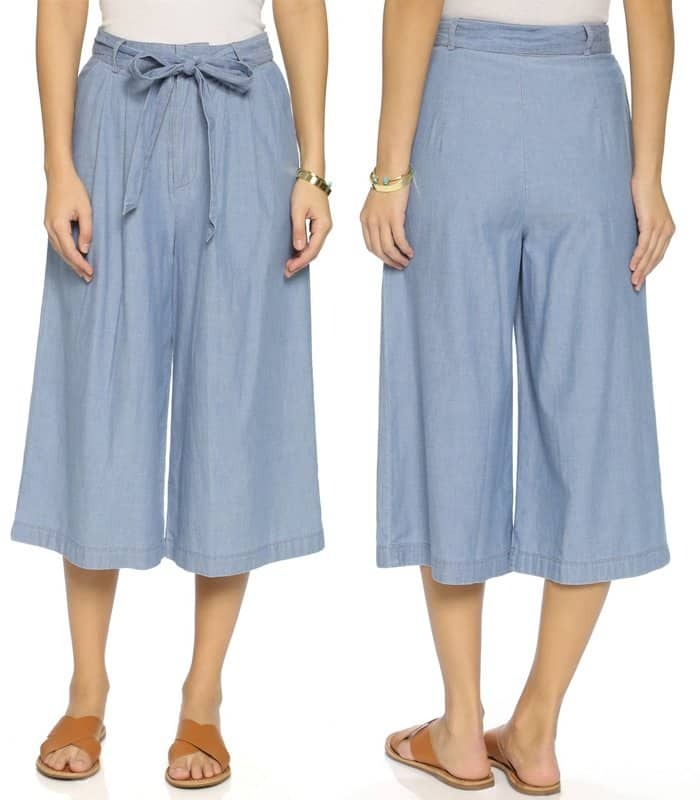 Gaucho pants and culottes are so popular these days. They have a graceful and fashionable way of elevating your style from casual to more formal. Try Diane’s look consisting of 3×1 “W3 Penn” gaucho denim pants, 3×1 “Selvedge” sleeveless crop top in Penn, a pair of chunky-heeled sandals, hat, sunglasses, circle earrings and a Chanel Spring 2009 coat. 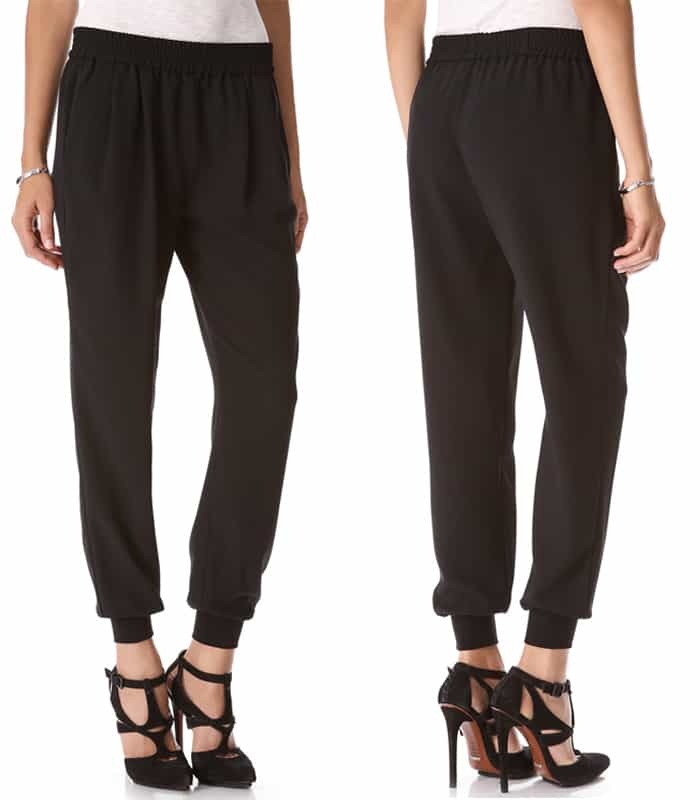 This style of pants is not only unique but also quite comfortable. 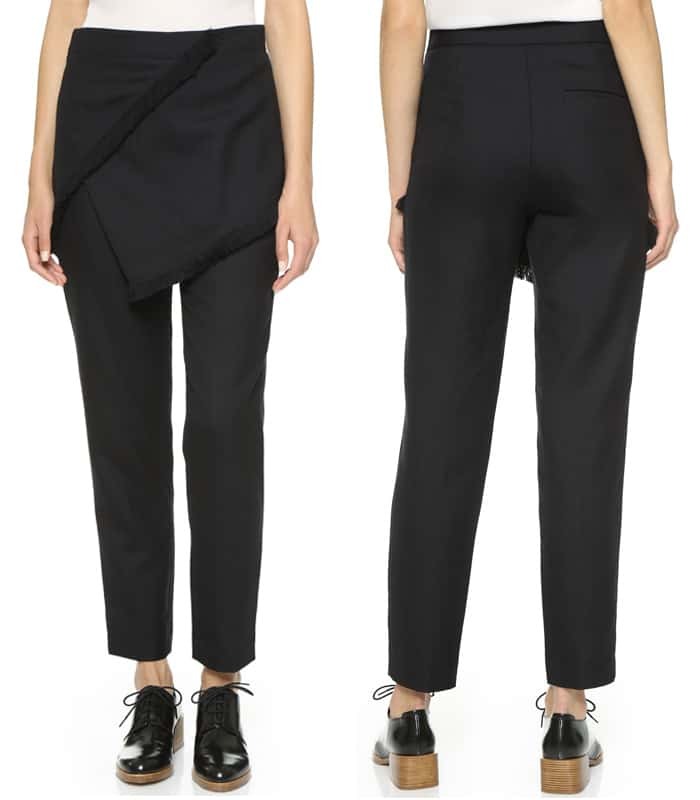 Due to the loose-fitted, gathered waist, these pants won’t cause you trouble when you sit. This style maven wore it with a sweater, cardigan, a pair of Schutz “Juliana” caged sandals, a pair of Westward “Leaning Vanguard 12” sunglasses, Hayward python foldover tote and Capwell + Co. silver bar collar necklace. Track pants are so comfortable, you could even wear them for a long trip, like Emma did! She had on the Tibi “Bibelot” track pants, Tibi sailor cropped sweater, Alexander McQueen “Legend” tote and Tabitha Simmons “Vera” leather point toe flats. Like any fashion comeback, you have to jump on the train fast because you don’t know how long it will stick around, and overalls are no exception. 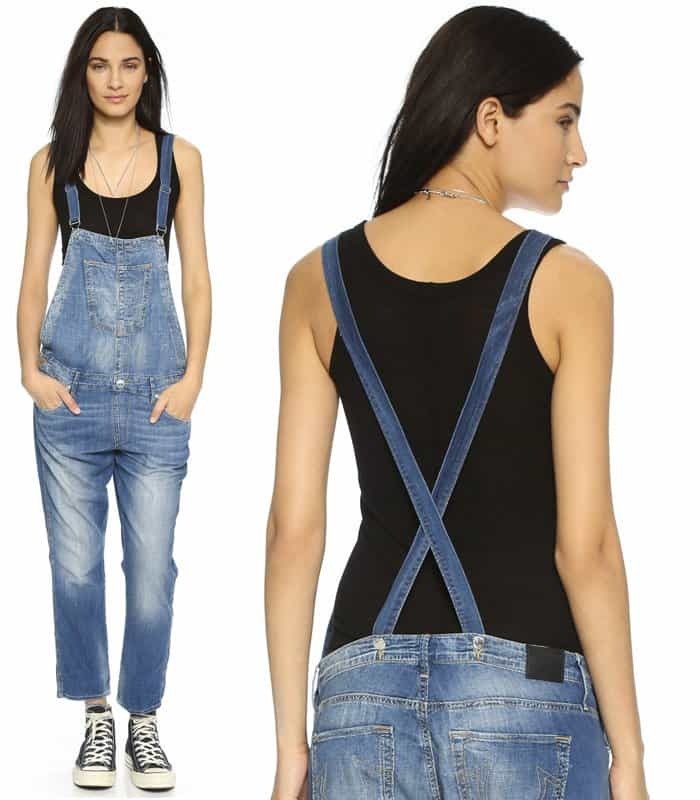 While overalls are still popular, don’t miss out on this comfy and casual look. You can wear all different kinds of overalls but we think these denim Citizens of Humanity “Quincy” overalls in drama worn by the singer are a real winner. You don’t need to restrict your casual clothing to just skinny jeans. These alternatives will still make you look like a million bucks without sacrificing your comfort or health!